A beautiful song to work in the classroom when Christmas is coming. 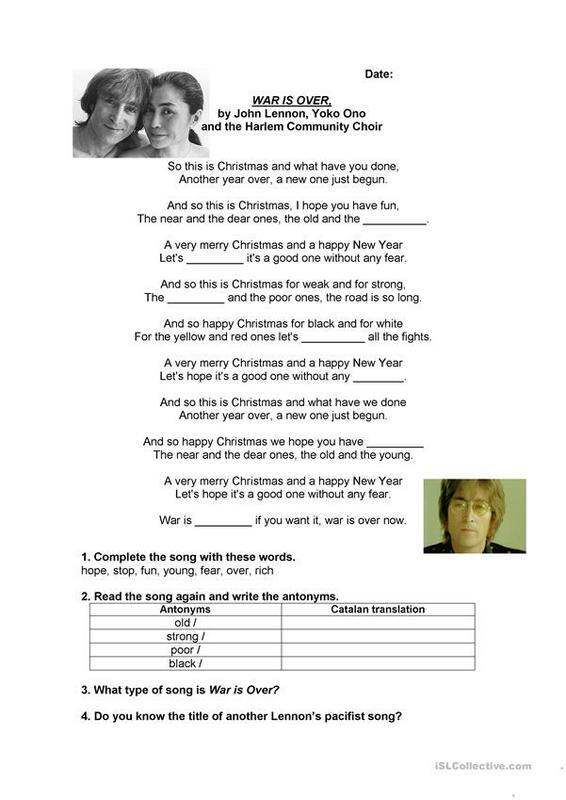 An exercise on opposites and two questions about the song and John Lennon. The above downloadable teaching material is recommended for high school students, elementary school students and adults at Pre-intermediate (A2) level. It was designed for working on your class' Listening and Reading skills. sandraprofeteacher is from/lives in Spain and has been a member of iSLCollective since 2012-11-08 11:19:34. sandraprofeteacher last logged in on 2017-04-20 18:01:40, and has shared 8 resources on iSLCollective so far.